All DAY MEADOW ESTATES homes currently listed for sale in Draper as of 04/24/2019 are shown below. You can change the search criteria at any time by pressing the 'Change Search' button below. "This beautiful, updated rambler is situated on half an acre, on a dead end, quiet street in the heart of Draper. Want a pool? Play soccer with the kids? Host killer summer BBQ's? The options are endless on this well landscaped, flat land. Sitting in the kitchen and dining areas offer a perfectly framed view of our stunning Utah mountains. This home is perfect for entertainment, hosting guests in the separate mother-in-law basement, storing your boat or ATV's in the detached 4 car garage, playing volleyball in the backyard, etc. Really, this home can be summed up with three words; peace of mind... in every sense of the phrase. Some of the most important updates that have been done are; new windows (2017), new roof (2018), new HVAC (2013), new beautiful, rich hardwood floors (2018), new paint throughout (2018), new interior doors and plantation shutters... the list goes on! And the ultimate peace of mind; making a sound investment. This home was just apprised at $640,000 so you can walk in to the home with equity on day one. 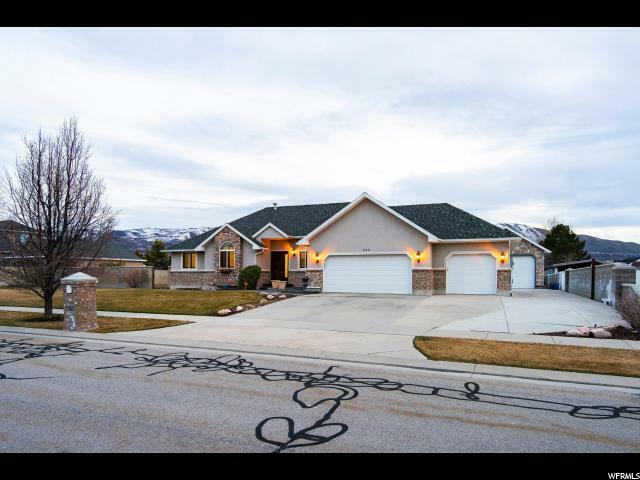 And to top it all off, this home is in the boundaries for some of the most sought-after schools in Salt Lake County like Corner Canyon High School with several private and charter options as well (Juan Diego, Channing Hall and Summit Academy)."